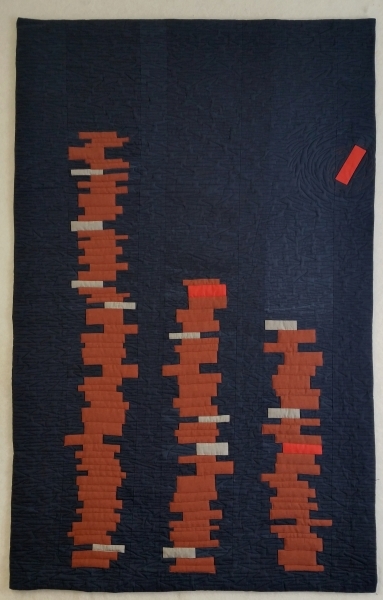 This quilt is inspired by the wonderful fabrics (a shot cotton in burnt orange, and a navy New Aged Muslin by Marcus Brothers) and the traditional quilt pattern Chinese Coins. 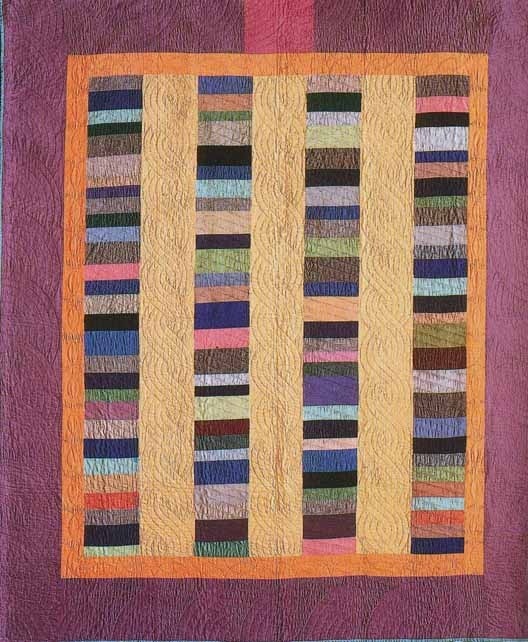 A link to a 1940s Amish version is here. I call it Coin Toss, and every time I think of the name, I want to ask, What’s the most you ever lost on a coin toss? 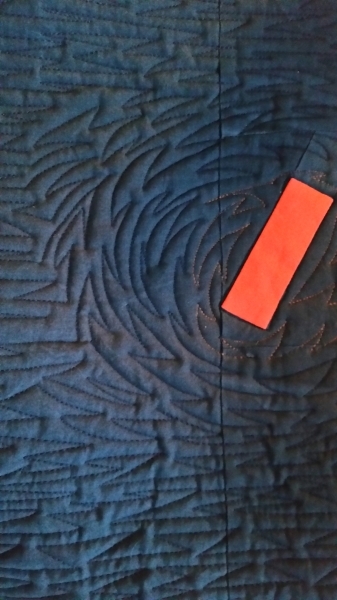 The use of negative space and plain fabrics just begs for fabulous quilting, and I tried to keep the tension of the perilously stacked coins going with the navy-on-navy background quilting.